With the new VikingContact 7, Continental presents a new all-round winter tire for Scandinavian weather and road conditions. 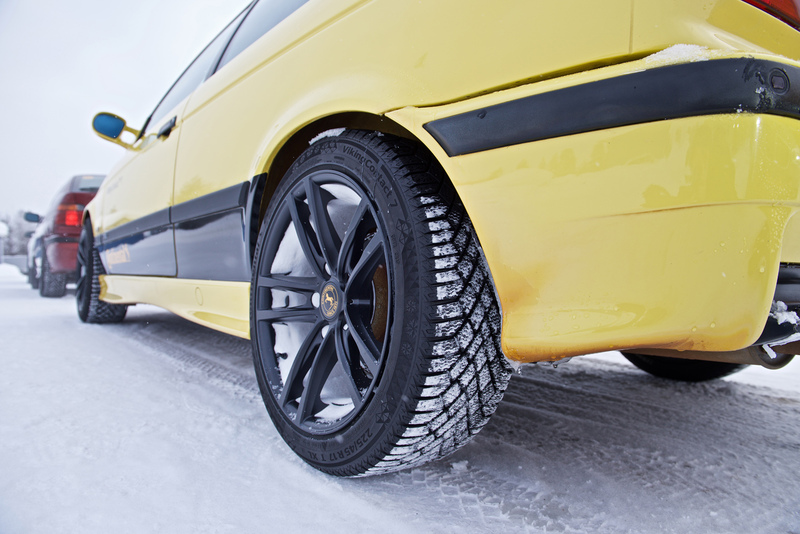 Thanks to its soft-compound tread, this newly developed tire can deliver strong grip on snow-covered and icy roads even in the extremely low temperatures that prevail in the far north. A connected system of tread grooves makes for rapid displacement of slush and water from the contact patch. When driving over snow and ice, the sipes in the tread blocks interlock effectively with the road surface. In terms of handling properties, this all-rounder for Scandinavia outperforms its predecessor by as much as seven percent. The new VikingContact 7 will be available from tire dealers in the fall of 2018 and will be manufactured in 112 sizes for 14-21-inch rims. All of these tires are approved for speeds of up to 190 km/h, which is far higher than the maximum speed limits in northern Europe. Five models of tire will be supplied with ContiSeal technology. If the event of a puncture, these tires automatically seal any holes in the tire tread with a diameter of up to five millimeters. Tires of several different sizes will be available with SSR Runflat technology, and the range will also include models featuring ContiSilent technology for particularly low tire/road noise in the passenger compartment. On the EU tire label, the VikingContact 7 is rated “C” for rolling resistance and “E” for wet grip. Tire/road noise of 72 dB qualifies the tire for the symbol with two black sound waves. These tires have also passed the necessary braking tests to qualify for the three-peak mountain snowflake symbol. In the new VikingContact 7, Continental’s tire developers have broken new ground. For the tread they chose an active silica compound that delivers optimum grip, not least on wet roads. The rapeseed oils in the compound make for good low-temperature flexibility, enabling the tires to build up strong grip even in Nordic winters. To keep these tires safely on track on wet and slush-covered roads as well, the development engineers at Continental have created an efficient network of deep tread grooves through which slush and water are rapidly dispersed. To ensure the stability of the tread blocks, which is vital for the precise translation of steering commands, the blocks are linked by small bars or “bridges” that provide high stability during cornering. When driving on ice and snow, 3D sipes present a large number of gripping edges as well as forming snow pockets. These fill with snow and the resultant snow-to-snow friction generates additional grip. When driving on icy roads, the gripping edges provided by the sipes have an effect similar to studs. They interlock with the top layer of ice, delivering good grip for moving off and braking.